Well, it largely depends on your audience, and goals. Business to business (B2B) marketers can expect a 14 percent uplift on weekdays, whereas business to consumer (B2C) brands see a 17 percent increase in engagement on weekends. To maximise retweets, post at 5pm. 12pm and 6pm typically delivers the highest click-through rates. But what other social networks, such as Facebook, LinkedIn, Pinterest, Instagram and Google+? 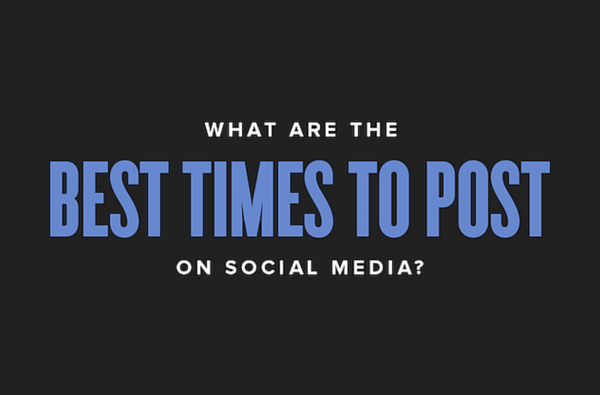 When’s the best time to post there? 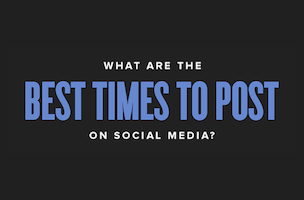 Your mileage may, of course, vary, but this infographic from Quick Sprout contains a lot of useful best time to post social media data.